Have you ever wondered who is behind the products and services you like and support? You may be surprised to know that several of the world’s largest brands were founded by Jewish women. These pioneers have blazed an enterprising trail for countless Jewish women who will follow in their footsteps. Their products range from cosmetics and fashion to television, and all have had a significant effect around the world. Check out seven famous Jewish women in business below. You’ll be surprised! The founder and namesake of one of the world’s largest cosmetics empires was born Josephine Esther Mentzer in Queens, New York in 1906. Her Hungarian-Jewish family began calling her “Esty,” which eventually evolved into Estee. Lauder’s success came with her development of bath oil that doubled as perfume, in 1953. By 1984 “Youth Dew” had sold 150 million bottles, and the product launched Estee Lauder into the brand found on store shelves across the globe. Lauder was the only woman listed in Time Magazine’s 1998 list of the 20 most influential business geniuses of the 20th century. She received the Presidential Medal of Freedom and was inducted into the U.S. Business Hall of Fame. In 2014, Estee Lauder Companies grossed $11 million in revenue. Belgian Jewish fashion designer Diane Von Furstenberg rose to fame in the 1970s with her first foray into fashion. It was then that she unveiled the famous “wrap dress.” She stepped out of fashion after marrying German Prince Egon of Furstenberg; their divorce, however, resulted in her losing her title as princess. In 1997, Von Furstenberg re-launched her fashion career with her now-famous wrap dress concept. The “DvF” brand is now an international luxury fashion mainstay, with four complete collections released every year. Von Furstenberg has received countless awards for her contributions to fashion. She was given a lifetime achievement award by the Council of Fashion Designers of America and has been president of the group since 2006. Von Furstenberg was listed by Forbes as the 68th most powerful woman in the world in 2014. With her husband Donald, Doris F. Fisher opened the first Gap store on Ocean Avenue in San Francisco in 1969. After spending just $63,000 to open the store, the Jewish couple reached $2 million in sales after just one year of operation. By 1973, the Fishers’ creation had 25 locations spread across the nation. Although Fisher’s three sons took over the business in the 1990s and still manage it today, her brand is among the largest in global fashion. Gap’s 2014 income will reach over $2 billion. She is estimated to be worth $2.8 billion and is among Forbes’ 100 most powerful women. Jewish-American Sheryl Sandberg is the second in command at Facebook, serving as the company’s chief operating officer. Sandberg’s incredibly accomplished career involves graduating from Harvard Business School and serving as the chief of staff for the U.S. secretary of the treasury as well as the vice president of online sales at Google. Sandberg also serves on the boards of the Walt Disney Company, Women for Women International and the Center for Global Development. Sandberg’s estimated net worth is over $1 billion thanks to her stocks in Facebook and other large companies. She was ranked by Fortune in 2013 as the fifth most powerful woman in business and was named by the magazine as the “face of corporate gender equality.” Her book, “Lean In,” is considered one of the preeminent works of modern female workplace empowerment. As Facebook continues its massive popularity and success, Sandberg will remain a strong face of women in the workplace. Jewish-American Mindy Grossman has served as the president and CEO of the Home Shopping Network since 2006. Her history in retail also includes leadership roles at both Nike and Polo. Since joining HSN she has helped the company grow its online presence and keep it a leader in the television shopping space. In 2012, Grossman was awarded the Ernst & Young Corporate Innovator of the Year award. The Financial Times has continually listed her in the top 50 women in world business. Forbes has also named her among the 100 most powerful women in the world. Fashion mogul Tory Burch was born to a Jewish mother who dated blockbuster actors Steve McQueen and Marlon Brando. Burch began her fashion label in 2004 after working for Zoran, Vera Wang and Ralph Lauren. The company has grown to include 120 stores worldwide and is carried in department and specialty stores like Saks Fifth Avenue, Neiman Marcus and Nordstrom. Burch was named the designer of the year by the Council of Fashion Designers of America in 2008. She has consistently been listed in Forbes’ list of the top 100 most powerful women. In 2014, she reached 78th on the list. Forbes estimates that she is worth just over $1 billion. The daughter of a Russian immigrant, Hammer turned a career in television into a role as chairwoman of NBCUniversal Cable. Hammer is at the head of massive cable brands including: USA, Syfy, E!, Bravo and Oxygen. Among the few female executives in television, Hammer is constantly on the forefront of groundbreaking and unique social initiatives on her networks. Hammer is consistently named to The Hollywood Reporter’s annual list of the most influential women in Hollywood. She was also inducted into the Broadcasting & Cable Hall of Fame. She has been named one of the world’s most powerful women by Forbes and Vanity Fair. Hammer’s influence extends beyond television; her works in social campaigns have earned her a variety of accolades from various nonprofit groups. Do the stories of these high-powered Jewish businesswomen inspire you? 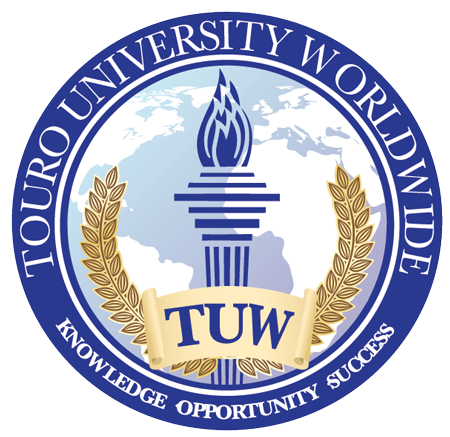 At Touro University Worldwide, we offer online business degrees that prepare students for the kind of success stories seen above. Our fully online programs allow you to pursue your education while balancing your work and personal life. The flexible and convenient online classroom format allows you to learn where and when is best for you. Learn how our online MBA or online BSBA program can help you achieve career success.